Prevent Cancer Now » What is up with Canada’s review of the health effects of radiofrequency radiation? Have your say! Within a generation, ubiquitous access to telephone and internet has morphed from a futuristic fantasy, almost into a human right. As “information highway” access inches towards being on par with clean drinking water, radiofrequency radiation used for much of this sophisticated communication has escalated. 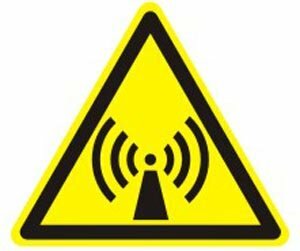 The International Agency for Research on Cancer (IARC) reports that the type of radiation used for cellphones, towers, “smart” meters, wifi, etc. is a possible (type 2B) human carcinogen, and recent research showing dose-related increases in acoustic neuroma has strengthened this finding. Some people find that this radiation is making them sick with a range of symptoms, as diagnosed and treated by the Austrian Medical Association, and discussed by the Environmental Health Clinic in Toronto. Health Canada and Environment Canada protect us from unacceptable risks, under legislation and regulations for food, drugs, pesticides and other chemicals. These Acts and related regulations include elements of public consultation and disclosure, and a precautionary approach. Regulation of exposure to radiation from power lines (low frequency) and information technologies (microwave frequencies) is somewhat orphaned, and is contained in “Safety Code 6.” This applies to federal endeavours, and Industry Canada incorporates this guidance in regulatory documents. Unfortunately, public participation and precaution are not mandatory. Safety Code 6 protects against “thermal” effects (heating, just as your microwave oven heats food), but lower doses are considered to be “safe,” even though low dose effects felt by individuals are being addressed by Austrian, Toronto and other doctors, and are evident in cancers related to cellphone exposure. Safety Code 6 is now under review, as Health Canada has conducted a further search of the scientific literature, and is seeking assistance of a committee of the Royal Society of Canada. This process has been neither smooth (the Chair resigned under allegations of conflict of interest) nor transparent. Answers reported by the Royal Society Committee will depend, of course, on the questions asked and the body of research used to answer them. Contrary to recommended scientific processes by international scientists and the US National Toxicology Program, none of the review protocol, research questions, lists of included or excluded literature, methods to extract data and weigh results, nor the instructions to the committee is public knowledge. Best practices are to ensure transparency in such reviews with protocol publication, not classification as confidential, as Health Canada has done. A vast scientific literature details effects of radiofrequency radiation ranging from increased rate of chemical reactions in non-living systems, to effects in cells, laboratory animals and human epidemiology. Academic experts extensively reviewed much of this science in the Bioinitiative 2012 report. It remains to be seen whether there will be convergence between the independent researchers’ proposed biologically-based exposure standards, and recommendations from the Royal Society to Health Canada. It is certainly a process worth watching, and even having your say. Citizens for Safe Technology have a webpage for convenient communication with the committee. Submissions should be sent soon. In the meantime, you can take the initiative to keep information inside wires and fibres. Check out Prevent Cancer Now’s tips on how to use wireless devices more safely. Meg Sears is an Ottawa Environmental Health researcher, and Board member of Prevent Cancer Now. Acoustic neuroma is a noncancerous (benign) and usually slow-growing tumor that develops on the main nerve leading from your inner ear to your brain. Because branches of this nerve directly influence your balance and hearing, pressure from an acoustic neuroma can cause hearing loss, ringing in your ear and unsteadiness. Also known as vestibular schwannoma, acoustic neuroma is an uncommon cause of hearing loss. Acoustic neuroma usually grows slowly or not at all, but in a few cases it may grow rapidly and become large enough to press against the brain and interfere with vital functions.